Not too long ago, the notorious @evleaks posted some press renders of the flexible LG G Flex smartphone for AT&T and T-Mobile, suggesting the launch of the handset on the US shores. It seems he was correct once again. 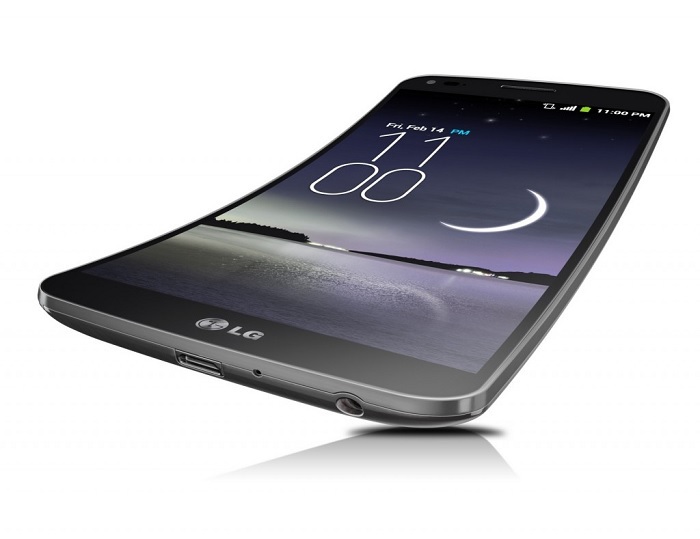 LG has announced that the flexible LG G Flex will hit the US in the first quarter of 2014, and will be available from AT&T, T-Mobile and Sprint. “Combining unparalleled consumer benefits with the best of LG’s technological advancements, the LG G Flex represents the shape of innovation, a harbinger of the future of smartphones and is poised to reinvigorate excitement in the category during 2014,” said Morris Lee, senior vice president and head of North American sales and marketing, LG Mobile Communications Company. LG G Flex comes with a flexible 6-inch display sporting a resolution of 1280 x 720 pixels, a quad-core Snapdragon 800 chipset with a clock speed of 2.26 GHz, 2GB of RAM, 32GB internal storage, 13MP rear camera for photos and videos, 2.1MP front-facing camera, a massive 3,500 mAh battery and runs Android 4.2.2 Jelly bean out of the box. Now, all we have to do is wait for the three carriers to announce a launch date, as well as the pricing. If you’re interested, you can sign-up on LG’s website to know as soon as any carrier kicks off with the pre-orders. We’ll also keep an eye on the news and will update you as soon as any carrier unveils its pricing plans.